Mike is a Senior Consultant and our Materials Development Group Leader. He has over 25 years of experience in industrial R&D, aluminium alloy product development and process optimisation. Mike completed his PhD in Materials Engineering and Materials Design at the University of Nottingham, after receiving an Industrial Fellowship from the Royal Commission for the Exhibition of 1851. He has over 25 years of experience in applied materials research, product development and process engineering. Mike’s specific expertise is in strategy planning, technology road mapping and innovation management. Furthermore, he has completed professional training courses in subject areas as diverse as Leadership, Employee Engagement, Intellectual Property, Mergers & Acquisitions, Partnerships, Marketing and Strategy. Mike is a strong advocate of collaborative R&D to drive the development and commercialisation of new technologies. He has held senior leadership positions in business units in the US and Europe, and is passionate about promoting STEM subjects to inspire the next generation of leaders. 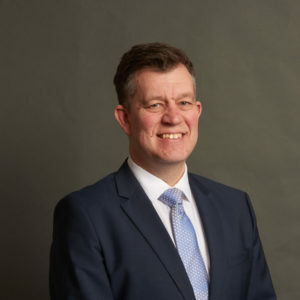 Mike holds advisory board positions at universities in the UK and US and is a Fellow of the Institute of Materials, Minerals and Mining (IOM3), where he is Chair of their Light Metals Division. Away from work Mike enjoys travel, technology and sports.